Obituary for Myrtle Catherine (Smith) Nelson | Henry Funeral Home, P.A. 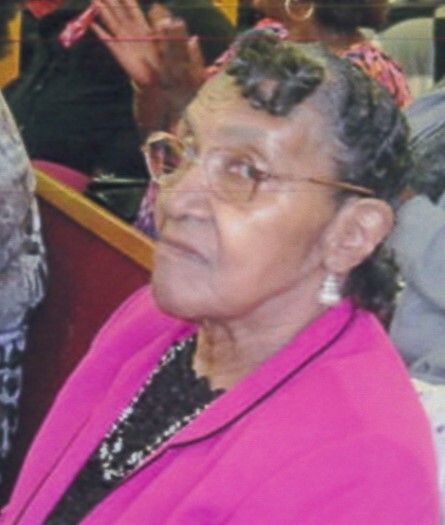 Myrtle Catherine Nelson, 89 of Cambridge, Maryland passed away on Saturday, April 13, 2019 at Mallard Bay Nursing Home. She was born July 20, 1922 in Cambridge, Maryland, daughter of the late Clarance McKinley Cornish and Avertia Augusta Chester Smith. Myrtle received her education in the public schools of Dorchester County and continued when she moved to Slaughter Neck, Delaware in the early fifties. At an early age, Myrtle started working in the chicken factory in Delaware. While in Delaware, two children were born. In 1952, she moved back to Maryland. In 1956, Myrtle married the late William Nelson who preceded her death in April 1987. Together they raised five children, three being her siblings. In Cambridge, Myrtle mostly worked in tomato canning factories which was in the Christ Rock area and Coldwater Seafood from which she retired after twenty years of service. A year later she moved to Baltimore, Maryland to live with her daughter, Mildred and son in-law, Phillip. After the passing of her daughter in 2001, she returned to Cambridge and became a member of John Wesley United Methodist Church Liners Road. Myrtle was a Communion Steward and member of the Singing and Praying Band until her health began to fail. Myrtle enjoyed watching Madea movies, playing crossword puzzles, putting puzzles together, traveling with the church band and going on shopping trips particularly to Dutch county. Myrtle leaves to mourn, one son, Leon Scott Jr (Wilmington, DE); three sisters, Margaret A. Jones, Ollie “Belle” Bantum (Percy), all of Cambridge; Marylee Thompson (Tommy), Houston, Delaware; one brother, Thurman Smith (Preston, MD); four sisters in-law, Etta McNamara (Cambridge, MD), Fannie Stevens (Virginia), Florence Nelson and Alice Hackman (both of Florida); one aunt, Ressie Camper (Church Creek, MD) and a host of nieces, nephews, cousins and friends. One special cousin, Ethel Farrare, who was like a sister; two very dear friends, Celestine Travers and Trudy Waller. In addition to her parents, she was preceded in death by a daughter, Mildred Smith, son in-law, Phillip Smith, a sister, Virginia D. Brisco, two nephews, Antwine Smith and Baron Jones, who she helped raise. There's still time to send flowers to the Viewing at the Bethel AME Church from 10:00 AM to 11:00 AM on April 27, 2019.